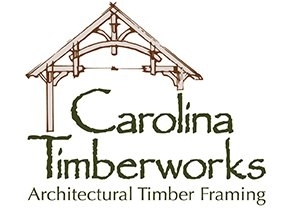 Timber framers start timber framing businesses. Many timber framers learn to be timber framers or learn to be better timber framers through their participation in the Guild. 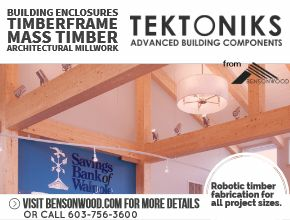 Many employees of timber frame companies learn to timber frame or be better timber framers by participation in the Guild. The Guild hosts the TFEC, the best source for timber-frame-specific technical information. SEO reporting—aggregated data from the new website will be the most powerful information about timber frame buyers ever collected. Historical perspective—TTRAG shares documentation and restoration/ preservation techniques. Training for employees—ATP, workshops, conferences. Promotion of timber framing via Community Building Program and other TFG activities. Creating informed customers though outreach programs. Few of these are likely to appeal to a guy with a chisel in his hand, yet each one is vital to a well-run, prosperous company. And each and every one of these items can be enhanced and expanded—if we have financial support from companies. The TFG will not thrive on individual memberships alone. Timber frame companies have been benefiting from the Guild’s strong brand for many years. Now, with the integration of company members, the Guild has the opportunity to expand its focus from a solely craft-based vision to one that includes outreach to specifiers and end-users (architects, engineers, general contractors, and building owners—the people who make buying decisions) increasing even further the Guild’s value to member companies. Our business-related efforts should be less about “Expand the Demand.” It should be more focused on “Build the Guild.” The Guild’s ongoing story is much more appealing to specifiers, buyers, and prospective customers than a group of companies “growing the pie.” In the context of the Guild’s more compelling story, we can give them all the information they can possibly want or need to become informed users and customers. If the Guild rises to the challenge of improving operations and offerings, and expands its focus, then it can further build a strong, vital community that will be the tide that lifts all boats.